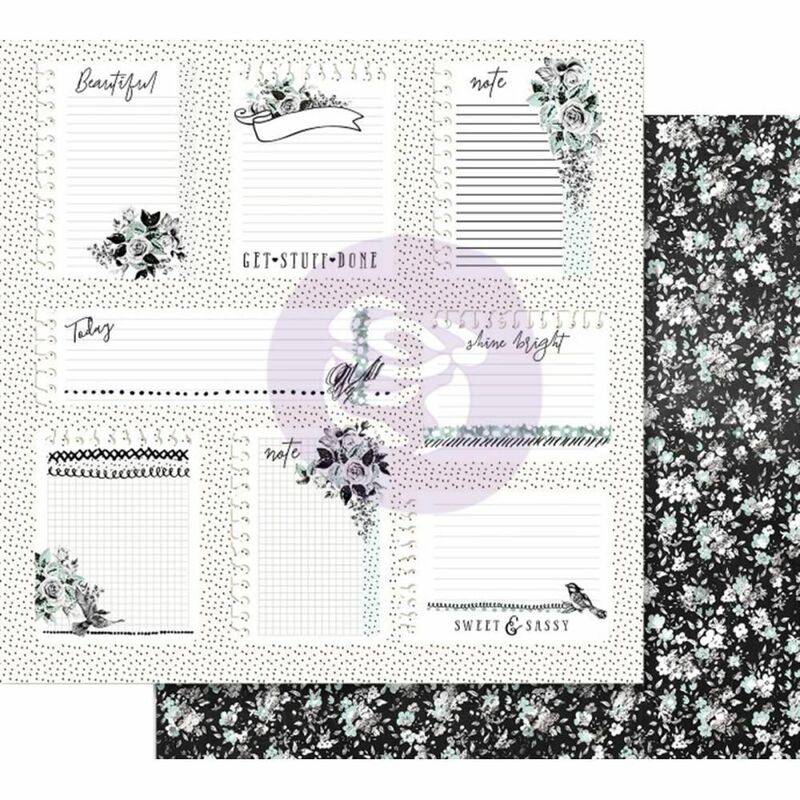 This 12x12 double sided paper has an assortment of Notes that are foiled on the frontside. The reverse side has a Mini Floral Pattern. Part of the Flirty Fleur Collections by Prima Marketing look for coordinating Designer Papers & Embellishments.